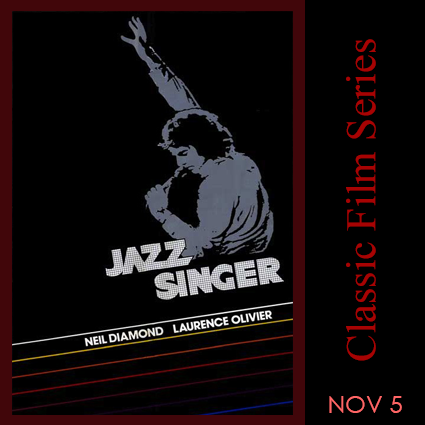 The Jazz Singer is a 1980 American drama film about the son of a Jewish cantor, who must defy the traditions of his religious father in order to pursue his dream of being a popular singer. 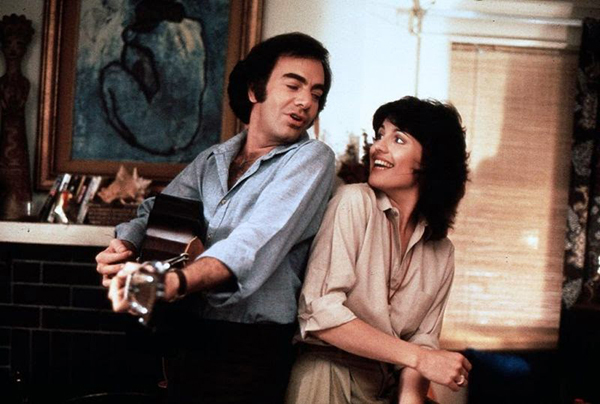 It is a remake of the 1927 film of the same name, and stars Neil Diamond, Laurence Olivier, and Lucie Arnaz, with direction shared by Richard Fleischer and Sidney J. Furie. Yussel Rabinovitch is a young Jewish cantor performing at the synagogue of his imperious father. Yussel is married to his childhood friend, Rivka, and has settled down to a life of religious devotion to the teaching of his faith. But on the side, he writes songs for a black singing group, and when a member of the quartet takes ill, Yussel covers for him at one of their gigs by wearing blackface. The nightclub engagement is such a success but one of the patrons at the nightclub notices that Yussel hands are white and calls him out. A fight ensues and the band is arrested. Yussel’s father comes to the jail to bail them out but finds out that there is not a Yussel Rabinovitch there but a Jess Robin. Later his father questions him about that and Yussel tells him it is just a professional stage name he uses when performing. His father reminds him that his singing voice was to be used for God’s purposes not his own, and Yussel’s struggle to determine his true place in the world begins.